All the things behind the promotion of mechanizing onion planting in Occidental Mindoro. An agricultural service company is promoting the mechanization of onion planting in Occidental Mindoro. 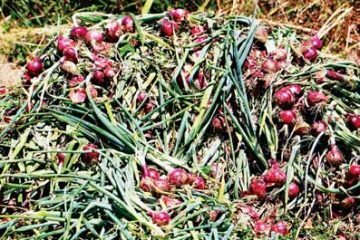 This is the Agri-Tech Integrated Services Company (ATISCO), which has put up a one-hectare demo farm in San Jose to showcase what can be mechanized in growing onions. ATISCO is collaborating with WBI, a cold storage company based in Mindoro. 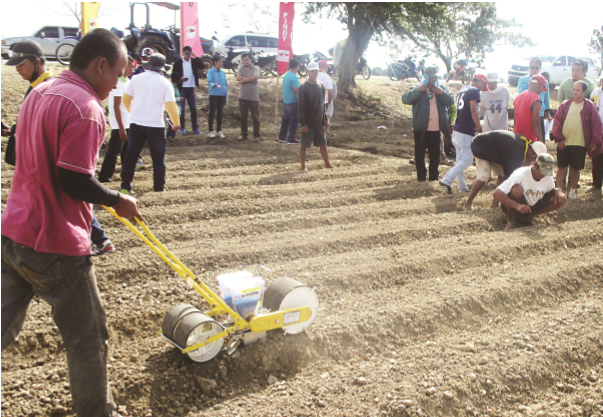 The onion direct seeder is demonstrated at the demo farm in San Jose, Occidental Mindoro. 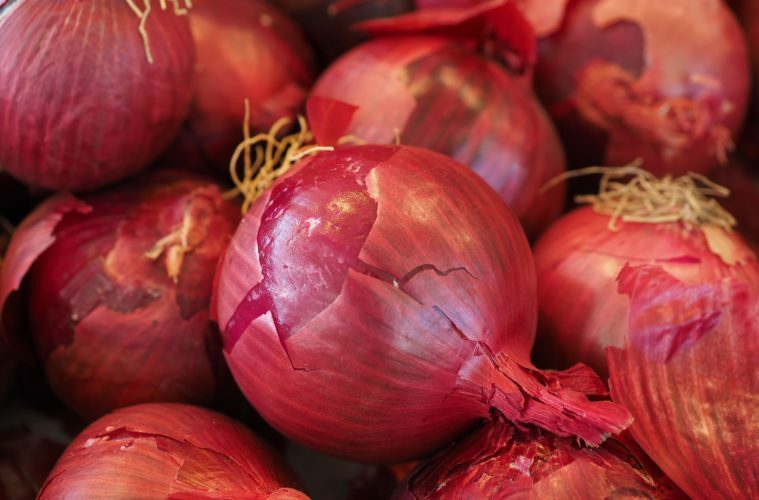 To produce a good crop of onion, the land should be properly prepared. To achieve this, ATISCO is using a disc plow from Korea and a Fitcorea bed making machine that makes uniform planting beds; these are important in managing irrigation of the onion plantation. Dante Delima, former Undersecretary of Agriculture who is the operations manager of ATISCO, says that the supply of irrigation water should uniformly soak the planting beds. The beds should be of the same level and the irrigation canal should be made in such a way that the end should be just a little bit lower than the entrance. The Fitcorea bed maker makes the beds fast and it is also much cheaper than the usual method employed by most onion growers. In 10 hours, the beds in one hectare can be finished by the machine. This costs only about ₱ 4,000. 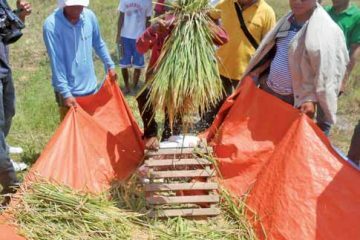 On the other hand, when the traditional farmer’s practice is used, it will take two days to prepare the beds and the cost could amount to ₱ 6,000, according to Delima. 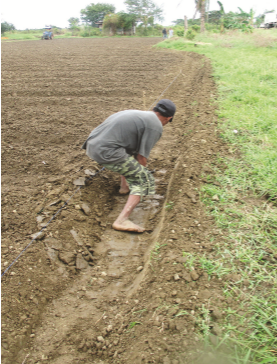 Fitcorea’s disc plow is used to prepare the land for onion growing. The ATISCO direct seeder is manually operated. It does not have any engine to run it. The seeder precisely dispenses just one seed per hill about 5 centimeters (cm) apart. In one passing, the seeder plants the seeds in two rows. The planting bed is 70 cm wide and it needs two passes of the direct seeder. Delima explains that because the seeder dispenses just one seed at a time, fewer seeds are required when compared to manual direct seeding, which often plants more than one seed per hill. 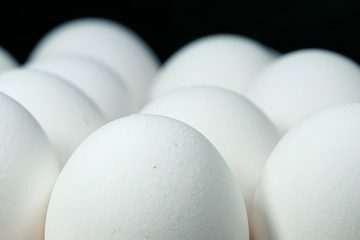 Under current farmers’ practice, usually, 10 cans of seeds are needed to plant one hectare. On the other hand, only six cans are needed with the ATISCO seeder. This means a significant savings, according to Delima, because one can of hybrid seed usually costs ₱4,000. 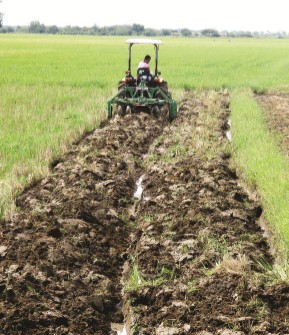 Therefore, the farmer can save ₱16,000 worth of seeds per hectare with the direct seeding machine. Laying out the field for planting onion. Also, the direct seeder accomplishes the job faster. Two direct seeders will be able to seed one hectare in one day. On the other hand, 10 people working for two days are needed to finish seeding one hectare. The farmer also saves on labor because only two men with their machines are needed to plant one hectare with the direct seeder. By the way, ATISCO is now providing their services to farmers who have planted 50 hectares this season that are soon be harvested. The services include land preparation, making of planting beds, and direct seeding. Later, when the crops are harvested, ATISCO will also demonstrate the use of an onion harvesting machine from Korea. 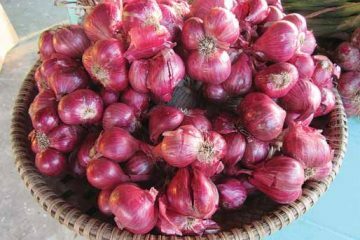 ATISCO is really searching for ways to make the onion growers more competitive not only in production but also in marketing their harvest. As of now, Delima said, a marketing company, Phil Vieba, will be buying the farmers’ harvest. The company is also promoting mechanization in rice production. It has facilities in Oriental Mindoro where it has tractors for land preparation and rice transplanting machines as well as combine harvesters and other post-harvest facilities. It also has efficient compact rice mills from Fitcorea. 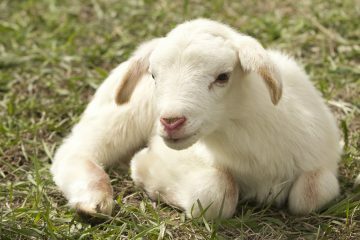 This story appeared in Agriculture Monthly’s March 2017 issue.